The Edmonton Oilers have had a busy 48 hours. Between heading off to Europe for an exhibition game on Wednesday morning to making some roster adjustments — literally on the fly — the Oilers haven’t wasted any time getting down to business before their NHL regular season starts on October 6, 2018. Among other things the Oilers have done, they waived Pontus Aberg who was claimed by the Anaheim Ducks and then Edmonton released Jakub Jerabek before trading him to the St. Louis Blues. Both moves freed up some much-needed cap space as well as removed two contracts, giving the team some wiggle room to make future moves. The question is, what are those future moves? We have a pretty good idea of what might be on the radar for the Oilers and it’s worth asking, are these the right plays for the team? One of the reasons for the demotion and eventual trade of Jerabek was that a number of players outplayed him in training camp. Among them was veteran defenseman Jason Garrison. If the Oilers are considering him for a depth role on the blue, it’s for that calming presence and been-there-done-that experience. That he’s getting consideration without having played much time on the power play — which might actually be his biggest strength — is telling. A few insiders already believe he’s got a solid chance of getting a contract. Garrison is undoubtedly slower than some of the other defensemen on the bubble for the Oilers. Still, he doesn’t seem slower than the game and he offers much more experience than a player like Ethan Bear or Evan Bouchard. He’s inexpensive, he’s a guy you can take in and out of the lineup (giving opportunities to the young guys) and if there’s an issue with injuries to Kris Russell or Adam Larsson, Garrison makes some sense. Speculation is the team might give him a one-way deal. Is this wise? 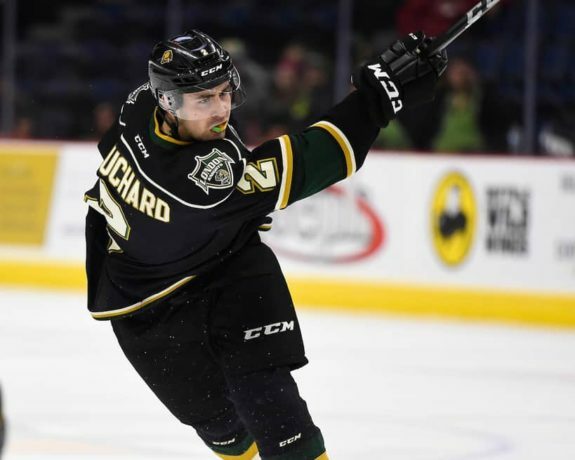 Give Bouchard an Opportunity in the NHL? There’s always going to be a contingent of fans who suggest not placing a rookie in the lineup. Regardless of how they look in preseason or whether they’ve earned the spot over others in camp, the argument is not to rush a player and let them develop before giving them NHL action. Such is the question with Edmonton’s 2018 first-round draft pick Evan Bouchard. The knock on Bouchard was his skating. Clearly, that’s not an issue if you’ve watched the games Bouchard has appeared in during preseason. He will have deficiencies in his game defensively (that comes with any rookie) but what he provides on offense could outweigh those defensive gaffes by a 2-1 or 3-1 margin. As Peter Chiarelli said during an interview with Jason Gregor, if the Oilers had to decide on the team today, Bouchard would be on it for a nine-game look. The question becomes, how much will he play? Are the Oilers better suited to have him in the minors where he’s potentially too good but playing 25 minutes a night? Or, should they shelter his minutes on the Oilers third pairing with some time on the power play? Another question worth asking is if he’s earned the spot over a player like Ethan Bear? There was a lot of talk on social media the minute the latest round of waiver names hit the wire. 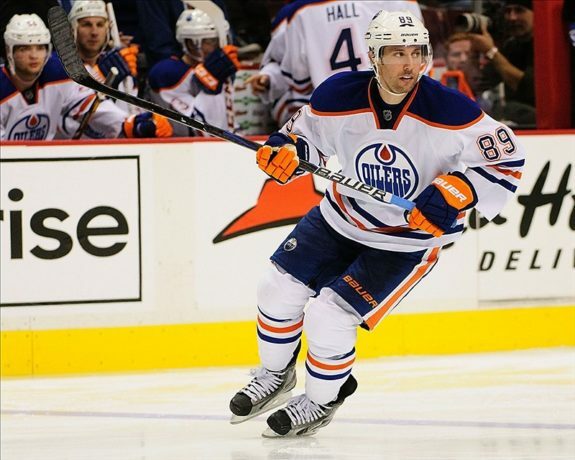 Most notably, former Oiler Sam Gagner hit the list and nostalgic Oilers fans tried to make the case the team should look at Gagner as an option. Many of those same people argued the Oilers should grab him for free, which wouldn’t be an entirely accurate statement. The reality is, Gagner is expensive if picked up on the waiver wire. Edmonton would be on the hook for his $3.15 million salary over the next two seasons. While the team wouldn’t give up assets to acquire him, that’s a lot of dough for a player who may not fit anywhere obvious on the roster. Could he help on the power play? Maybe. Would he be worth paying that kind of money to? Gagner wasn’t the only player listed on NHL waivers either. There were some names that could be an improvement over some of the PTO players invited to camp. Make Room for Scottie Upshall? Perhaps forgotten in much of the news that surrounds the Oilers is the fact that just a week ago, Edmonton released Scottie Upshall from his professional tryout. While his injury situation was problematic enough to exclude him from consideration from the big club today, it appears the Oilers are trying to make room for him down the road and set up another path to the NHL through their AHL team in Bakersfield. 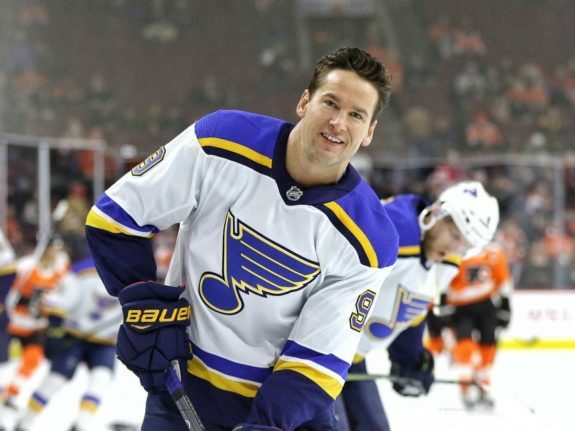 Upshall may not have a lot of options when it comes to landing an NHL job on the ice but there are likely many teams who would consider him in a coaching or personnel role. Is he at that point? Is he ready to give up on his playing career? If the Oilers think he can recover from his knee injury and they believe he can offer some skill on the penalty kill with much-needed leadership, it makes sense Edmonton is trying to keep their options open. The Edmonton Oilers have two very young and offensively gifted blueliners ready to crack the team. We’ve already discussed Bouchard, but what about Bear who has been a blessing on the Oilers power play and an extremely pleasant surprise in the preseason? Is it time the Oilers reward former Seattle Thunderbirds’ scoring dynamo with an opportunity to start the year with the NHL club? Bear has played in four preseason games and has three points, two of which were goals. He’s behind only Bouchard for points from blueliners and hasn’t looked out of place defensively. Where he separates himself from almost any other defender on the team is his shot. It’s a bullet and that, used as a weapon on the power play, could be enough to earn him a spot on the team. Of course, there may be more on the radar for the Oilers than any average fan might be aware of. Trades, other signings, demotions or promotions could all be on the board internally and announced over the next few days. 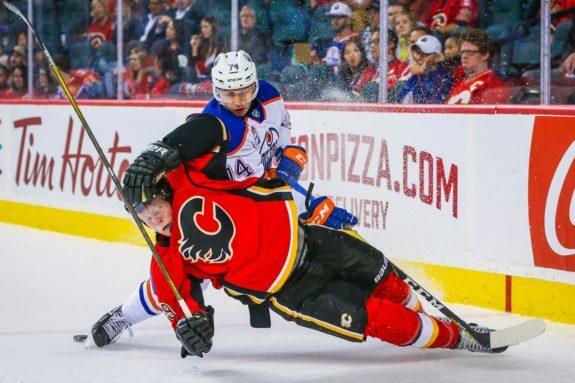 Daily there are happenings in the NHL with 3o other teams the Oilers should be watching. Edmonton may have more options present themselves. With all that’s going on around the league and with questions still surrounding players like Alex Chaisson, Drake Caggiula and others, what would you do?